Day 37 – Whereabouts Unknown & Negligence, Incompetence or Both? 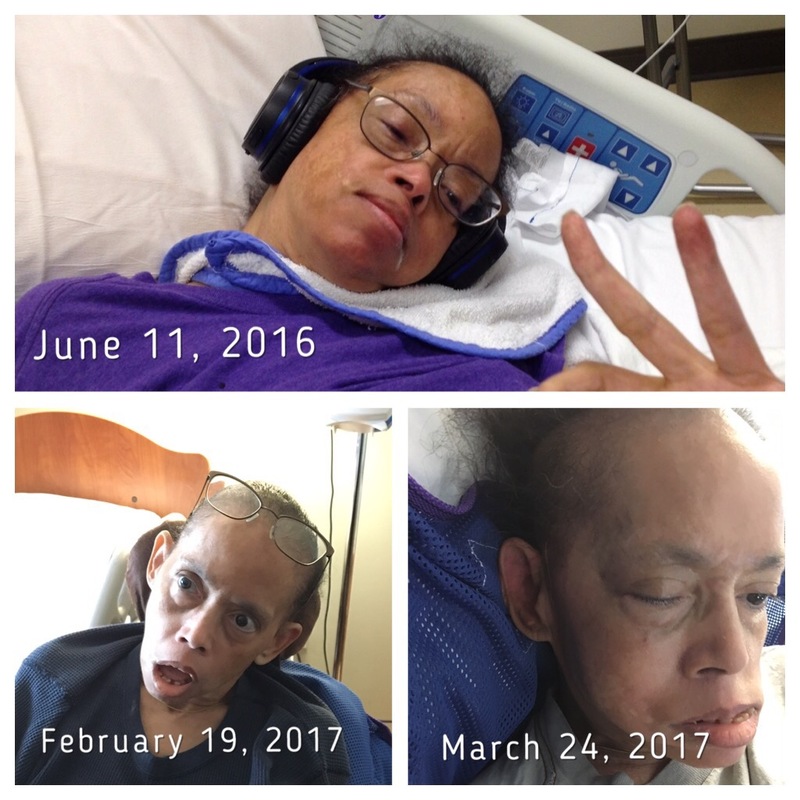 MAR 26, 2017 — It has been two days since I have seen my sister; two days since guardians Anne Heishman and Kenneth Labowitz intentionally and unconscionably isolated my sister Anastasia from her family. We have no idea how she is doing, whether she has undergone surgery to fix her hip, if her guardians have let her die and cremated or buried her somewhere. Obviously none of Anastasia’s family or friends have slept well the last couple of days, including her elderly aunts and uncles. Nightmares abound were we hear her screaming in pain and calling me by name in attempt to get me to come and save her. I suspect this is exactly what Inova and Guardians Heishman and Labowitz were trying to achieve by barring me and her family from visiting and checking on her. I suspect they have also isolated her to break her will to live and bring about an early death as I can think of no other reason to isolate a person like my sister from her longtime source of love, support and safety. Right after Heishman barred me from seeing my sister refusing to even let me say goodbye or gather my things (see the actual letter posted on the Abduction Facebook page) stating “you are no longer permitted to visit your sister… if you attempt to enter any hospital, facility or other placement in which Ms. Adams is located, we will be forced to pursue additional legal remedies on her behalf” they moved my sister to an unknown location. When I was finally allowed to collect my things she had been removed from the hospital. There has been talk of offering a reward for verifiable information of Anastasia’s whereabouts and condition. I will keep everyone updated. Now the absolute fact that my sister would not want me barred from seeing her aside, if I became ill or injured I could not even go to the ER or they could have me arrested. Ludicrous. After the hearing I ask Anne Heishman point blank why she was trying to kill my sister and she responded, in a rather snotty tone, “I don’t have to talk to you.” Well this may be true, but she will have to talk with the authorities and she most certainly will have to talk and explain her actions to God. Moving on it appears that Dr. Amr Behiri, DO and Dulles Health & Rehab allegedly knew of Anastasia’s broken right hip at least four (4) days before she had to be rushed to the hospital; four days in which she allegedly received no treatment for the severe fracture other than morphine. During this timeframe Dulles medical staff continued to move Anastasia from her bed to her wheelchair in a hoyer lift and sling. I now know why my sister screamed, not yelled, with tears in her eyes when they transferred her or forcefully rolled her side to side when they changed her the last several days she was at Dulles. Yet throughout her stay there Dulles medical and administrative staff and Heishman continued to insist there was no evidence of injury or anything wrong with Anastasia, that she had been placed in “a safe facility that provides her with excellent care.” If a broken hip, negligence and injuries are what Heishman considers safe and excellent care what does she consider substandard care??? If Anastasia had not spiked a fever of 104.1 and been yelling to the point another patients family stated there was something wrong Dulles allegedly would have continued to do nothing but drug her with morphine. Which if I am not mistaken falls under the Opiod policy directive for Virginia. I WILL NOT BE AFRAID OF WHAT MAN CAN DO TO ME! GOD HAS HEARD THE CRIES AND CRYING OF THOSE WHO HAVE BEEN HARMED. HE HAS SEEN EACH TEAR AND MOMENT OF ANGUISH. HIS RATH ON THOSE WHO HAVE HARMED THE INNOCENT IS …IS! God has one of HIS CHILDREN watching over your sister. Touching her, letting her know she is loved, most of all speaking peace over her! They will keep her safe until. GOD HAS HEARD THE CRIES AND CRYING OF THOSE WHO HAVE BEEN HARMED. HE HAS SEEN EACH TEAR AND MOMENT OF ANGUISH. HIS WRATH ON THOSE WHO HAVE HARMED THE INNOCENT IS …IS!